Mark Reid has considerable experience in advancing claims for personal injury in Northern Ireland. To date he has handled a large number of claims relating to car accidents be they on behalf of drivers or passengers. Mark's firm is also well disposed to deal with claims commonly referred to as "slipping and tripping" which account for a large number of actions taken against owners of property or public authorities. 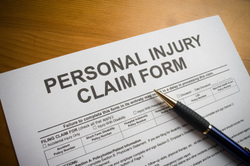 If you had a query relating to a personal injury you should contact Mark Reid Solicitor for initial advice. Strict time limits apply for these types of action so it is essential to get good, proper advice as soon as possible.